I’ve never chosen a restaurant based solely on its name until I began exploring the San Gabriel Valley. Lack of English and cultural comprehension among the area’s restaurateurs has resulted in some hilariously silly names. Ducks is a prime example of this awesomely bad trend. While I normally wouldn’t be drawn to a resto with a peeling facade, the promise of ducks and curry was irresistible. First off, let’s get one thing straight—Ducks does not serve any ducks. According to a Yelper name Ken H., the restaurant is named after the owners’ daughter’s favorite animal. Drawing inspiration from its namesake, the interior is adorned with a bevy of ducky decor. 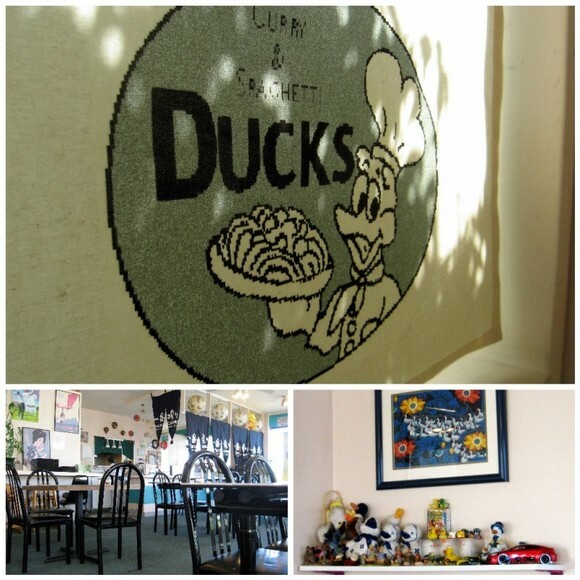 The walls and shelves of the homey restaurant are strewn with duck statues, paintings, and figurines. Based on the name and decor alone, you’d think that this restaurant was manned by a real quack job, but this certainly is not the case. Ducks is a warm mom and pop shop—mom runs the front of the house, while pop makes the food in the back. Their duck-loving daughter was nowhere in sight during The Astronomer and my visit. 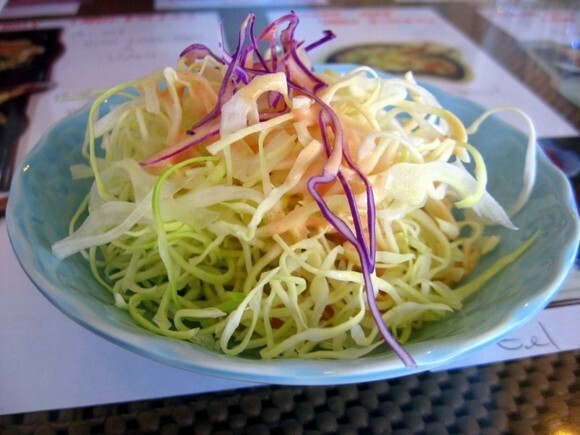 Lunch started with complimentary his and hers coleslaw coated with Thousand Island dressing with a Japanese flare. The cabbage concoction tasted fresh and crunchy. The restaurant’s menus are placed under the glass tabletops and include helpful photos of each of the dishes. I arrived intent on ordering the house special katsu-karē, but was swayed by one of the tempting lunch specials—a combination of beef curry and cold soba noodles ($9.95). Although I’m hardly a Japanese curry connoisseur, I’ve noticed a few characteristics that make this style distinct and different from other curries. Firstly, the sauce is more viscous and uniformly smooth than Thai and Vietnamese curries. The short-grain rice that Japanese curries are served with is also rounder and stickier than Jasmine and Basmati. Flavor-wise, Japanese curries aren’t super-spicy, but rather imbued with deep and earthy tones. 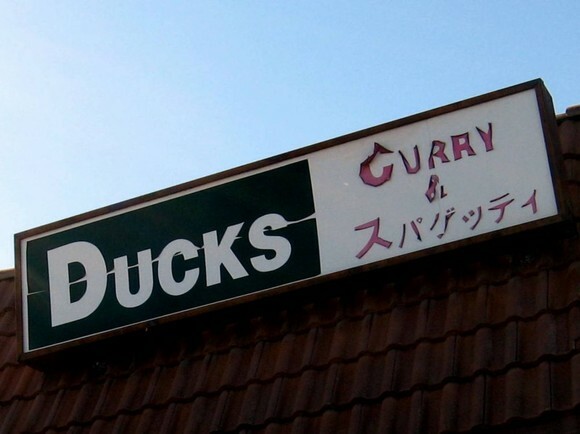 Ducks’ beef curry was excellent—the cubes of meat were tender, while the sauce was flavorful and full of heavy spices. There’s something about the cool and salty combination of flavors in soba noodles that wakes up my senses like nothing else. 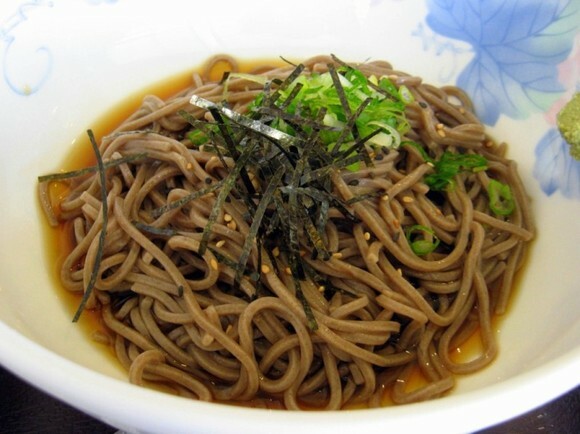 The soba at Ducks were topped with sesame seeds, fresh scallions, and shredded nori. Spicy wasabi was shmeared on the side of the bowl. 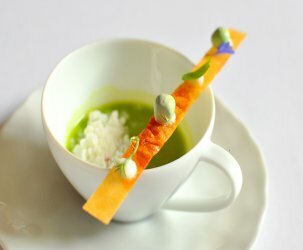 The tsuyu broth, which was made of dashi, soy sauce and mirin, hit all the right notes. 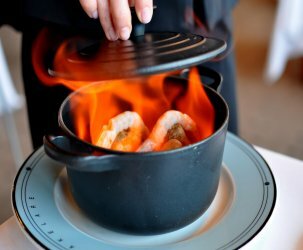 Ducks’ execution of this classic dish was flawless. For our final dish, I bullied The Astronomer into ordering the “Spaghetti” ($8.95) because I was dying to taste Italian pasta prepared Japanese-style. The dish turned out to be delicious and not nearly as strange as I had expected. 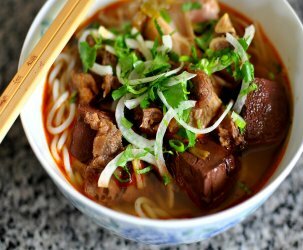 The noodles were served in a spicy curry broth reminiscent of Vietnamese beef stew (bo kho) that contained bits of chicken and a smattering of seaweed. The noodle soup was hearty, warming and very tasty. That all looks just like food one might get at a Japanese-style diner in Japan. 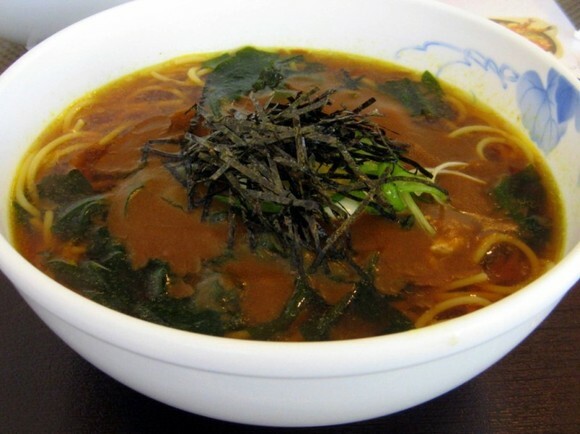 The “Japanese spaghetti” looks like shoyu (soy sauce) ramen with spaghetti instead of the usual ramen noodles. 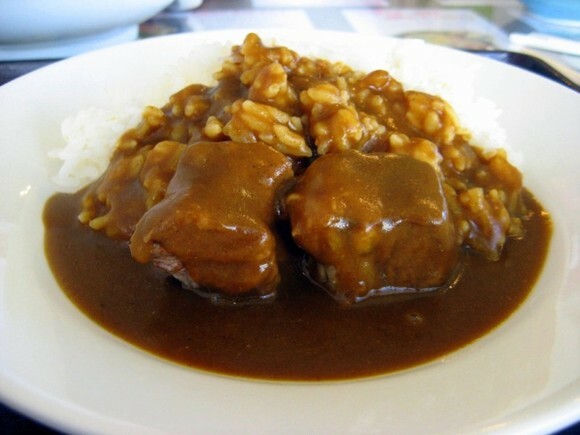 I miss Japanese-style curry – such good comfort food! Felicia – It’s good to know that I can dine on authentically Japanese diner fare in the San Gabriel Valley. One of these days I’m gonna eat my way through Japan. Sharon – You’re friends with the Princess of Ducks? Get outta here! That’s awesome. I had a friend in middle school whose parents owned a Chinese buffet, but that’s not even close to as cool as the progeny of Ducks.